HomeAmCham NewsAmCham member, Green Sahara Furniture, joins Eve Branson Foundation to launch a Wood work Center in Tansghart, Asni. 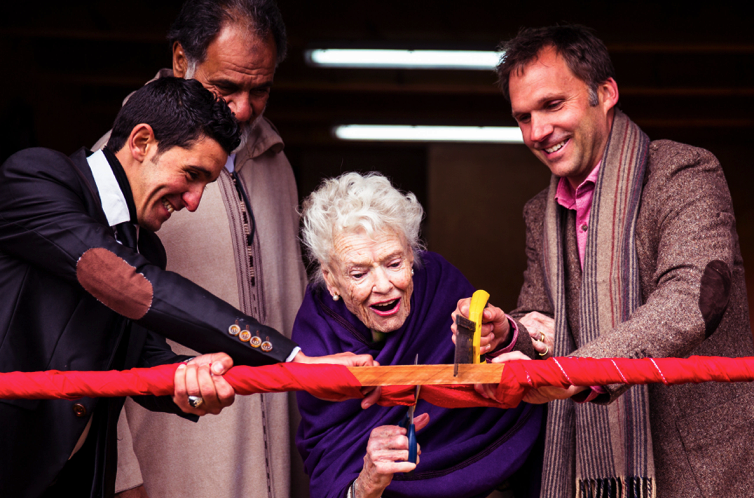 AmCham member, Green Sahara Furniture, joins Eve Branson Foundation to launch a Wood work Center in Tansghart, Asni. The Woodwork Center is one in a line of projects that Eve Branson and local sponsors have set up in the High Atlas Mountains to support the local Berber community. Similar to the existing female Crafthouse project, the Tansghart Woodwork Centre will address the lack of vocational training facilities in Asni by promoting educational enrichment and employment opportunities. By developing initiatives such as this, the need for gender equality and a shared sense of participation is promoted throughout the community. Congratulations Green Sahara for taking the lead on this initiative and others!! !